Increase your flexibility and health with 2 daily Yoga well being class. Dance like no one is watching with an invigorating and enlightening class. Increase your energy and stamina. Learn massage techniques, Massage for Partners, Labor Massage, Infant Massage – calm and comfort your baby. Audra Sanderhoff is a licensed massage therapist with 26 years of experience. One massage is included in your weekend retreat package. Also request Reiki, Acupuncture, and Guided Meditation. Relax as you soak in our sustainable, wood-fired snorkel hot tubs. Enjoy the views, and the warm, healing sensation of naturally hot water. Let the Northwest forest infuse your spirit with peace and calm. No chlorine, and no electricity, the firewood is local and renewable. 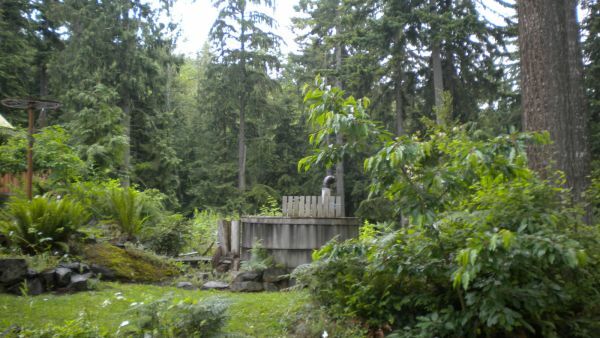 Enjoy our tranquil GreenLife trails and multiple other hiking locations here in rural Western Washington. Stay with us in all natural earth cabins, and relax in a wood fired hot tub after an invigorating day of skiing. Enjoy the natural outdoor setting with full accomodations for your guests. Live summer music concerts monthly with camping included. Paint, draw, sculpt what you see in nature. No experience necessary. 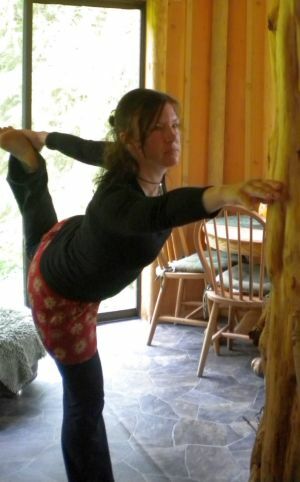 Yoga: Increase your flexibility and health with a daily Yoga class..
Snorkel Tubs are heated by firewood, a renewable resource!